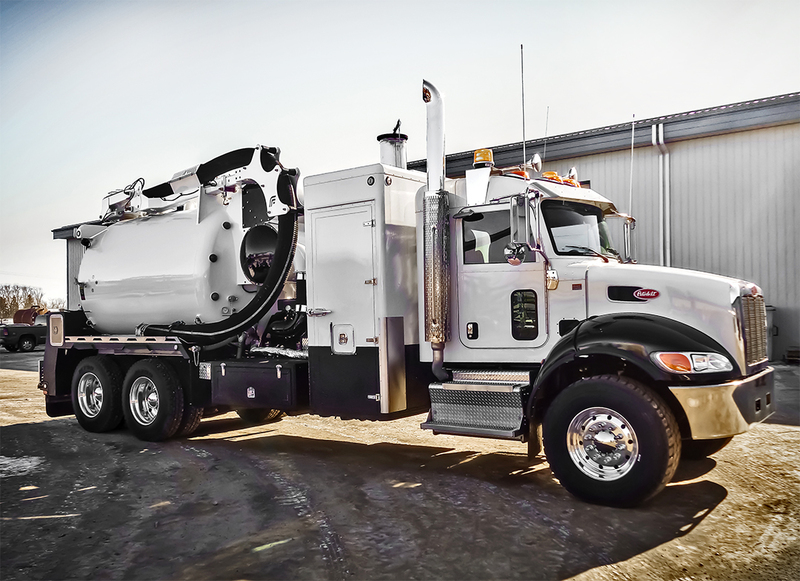 The Foremost 1000 is a non-code hydrovac designed to operate efficiently in urban environments. This unit is sized appropriately to maneuver easier in smaller streets, but maintains its productivity as our larger models. The operating components on this unit are identical to those used on our larger designs, thereby giving the operator the same efficiencies while working, but within a more manageable package. 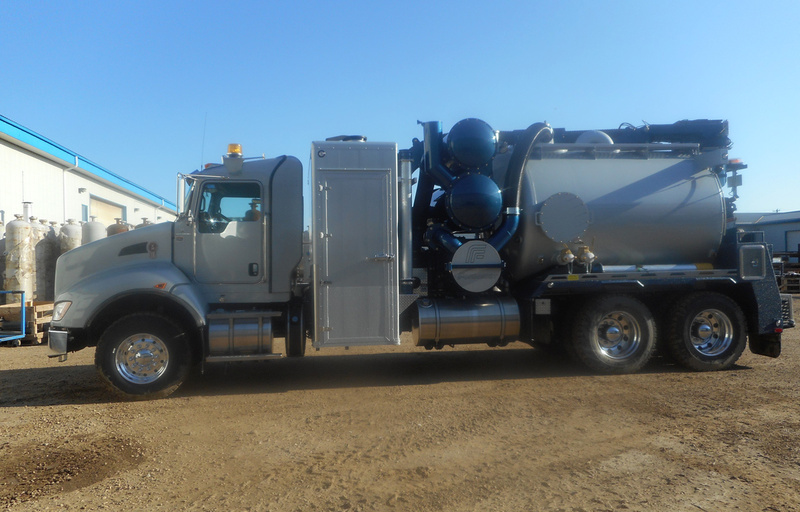 The Foremost 1000 non-code hydrovac is mounted on a tandem axle chassis. This unit holds 1000 gallons of fresh water and 7 cubic yards of debris. All working components are housed in a 42” aluminum, heated, insulated and lit van body. A Robuschi RBDV125 PD Blower provides 4000 CFM and Full Vacuum. The boom is 8”, fully rotational and operated by an Omnex wireless controller. The Omnex also allows for control of vehicle RPM, the wash system, offloading and vacuum functions. The water system features a CAT 3560 wash pump, capable of 3000 psi and 20 GPM, heated by a 740,000 BTU diesel fired boiler. 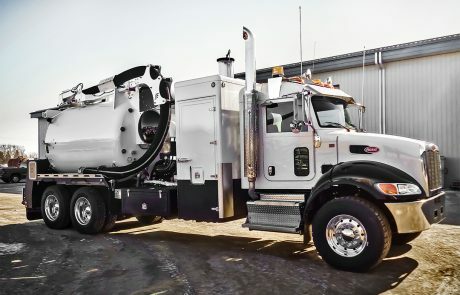 Standard with all Foremost non-code hydrovac units, offloading is performed via our sloped debris tank design, assisted by a wash out system powered by a high volume centrifugal pump. 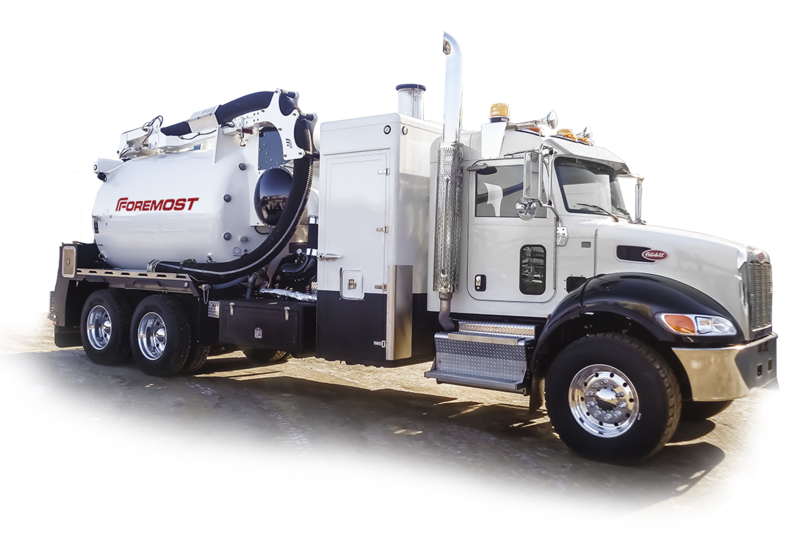 The Foremost 1000 is completely winterized and comes equipped with heated valving, an air blow down system and glycol purge reservoir. We recommend this unit to utility contractors who need to provide competitive excavating efficiencies but on a unit that is shorter, lighter and more manoeuvrable than most other models.